The category of working – active dogs includes dogs with a variety of levels of activity and in different climatic conditions – from guide dogs, hunting dogs, official dogs to the police and army, racing, shepard dogs, to those that pull sleds in the polar regions, or rescue dogs from snowy avalanches. Any increase in the level of physical activity requires additional energy. Physiological and psychological stress further increases the demand in energy and certain nutrients in dogs that work harder. 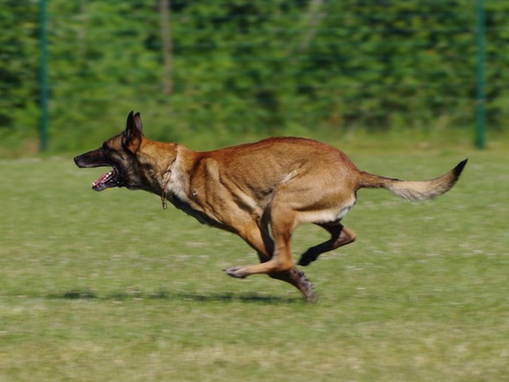 The main “fuel” for muscle movement in working dogs are fats and carbs. Race dogs, such as hounds, require short but intense concentrated “doses” of energy. 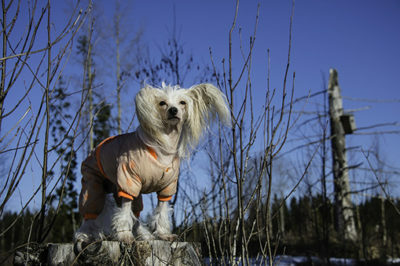 For these working dogs, a diet that provides a relatively large amount of carbs may be the most appropriate. Working dogs that are active for a long period of time – bloodhounds, hunting dogs, and similar breeds, may be given high-fat foods. 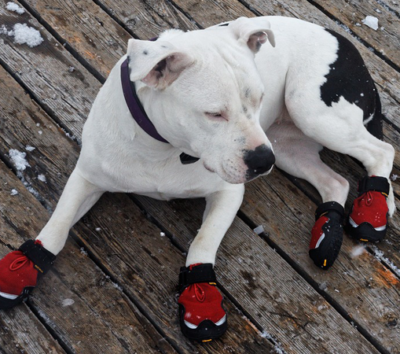 This also applies to dogs that work in a harsh environment such as dogs that pull sleds or rescue dogs from snowy avalanches, where additional energy is needed to maintain body temperature, but also for the increased muscle activity. The need for protein in hard-working dogs can be slightly increased. Stress due to physical activity can increase the need for specific amino acids. This is why working dogs require quality sources of protein in their diet. Bearing in mind that dogs are carnivores, the source of protein should be animal meat, not plants such as soybean. As for minerals, it is considered that there is a higher need for iron due to its share in the production of hemoglobin and the transfer of oxygen. The need for some vitamins in the diet of working-active dogs, such as vitamins A, C and E, is also increased because they, like strong antioxidants, protect the cell membranes from damage that can be caused by stress and excessive effort. 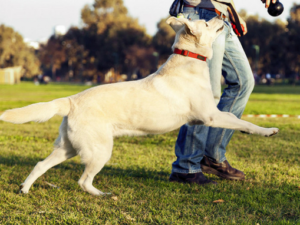 The amount of energy required for dogs that work depends on the climatic conditions, the level of activity and the type of work that the dog is doing. Therefore, for example, a dog that travels long distances requires two to three times larger portions of food than required for the normal upkeep of adult dogs. Regardless of the increased energy demand, some dogs may reduce food intake due to excessive tiredness. To compensate this, the diet should be concentrated, tasty and digestible. 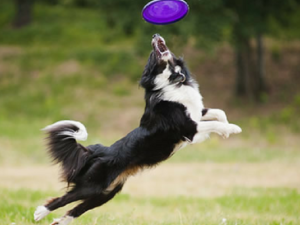 With larger efforts, a more concentrated source of energy and nutrients is recommended, and therefore the ideal solution is complete food formulated for active dogs. 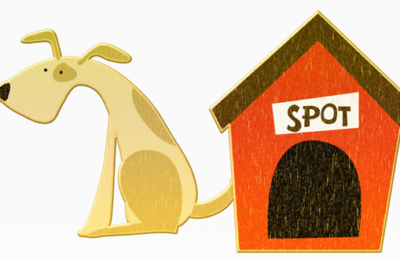 Nutritional needs will vary in days when dogs are resting or are undergoing training, and the amount of food must be appropriate for the activities they perform. At the time of rest, the most appropriate is a smaller portion of the same food that is normally used. Previous article Dog obesity – a new age disease affects our pets as well!